The Good Hope Centre, built in 1976, was designed by Pier Luigi Nervi, architect and structural engineer. It has received mixed reviews from ‘poetry in concrete’ to ‘bizarre architectural eyesore’ but we love it. 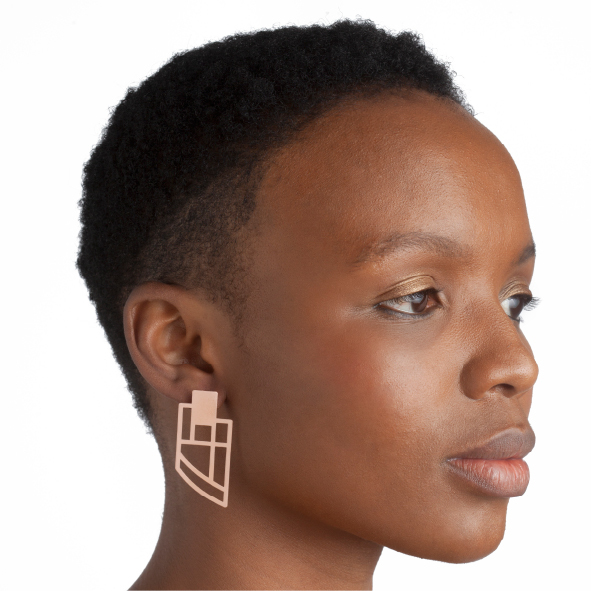 These earrings are a salute to the ones who strive to make their mark on the world, who design without concern for what people will say. 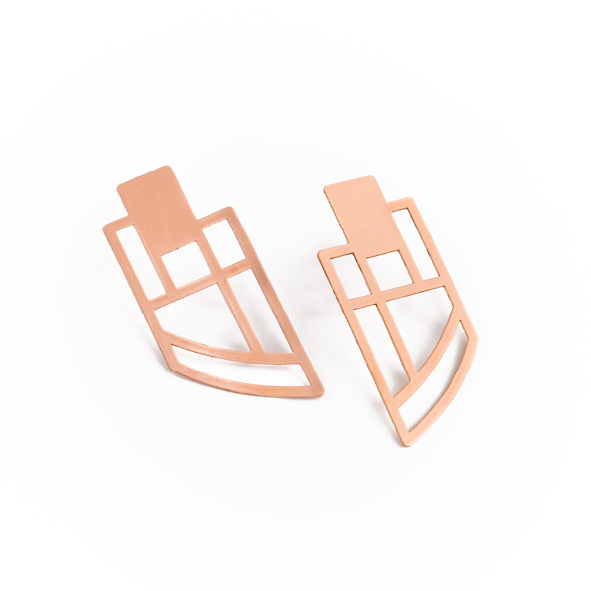 Available in rose gold plated copper with plated sterling silver studs. The earrings are 4.5cm long x 2cm wide. Copyright © White Rabbit Days 2019 | Our Terms. Notify me when Good Hope Earrings is available.